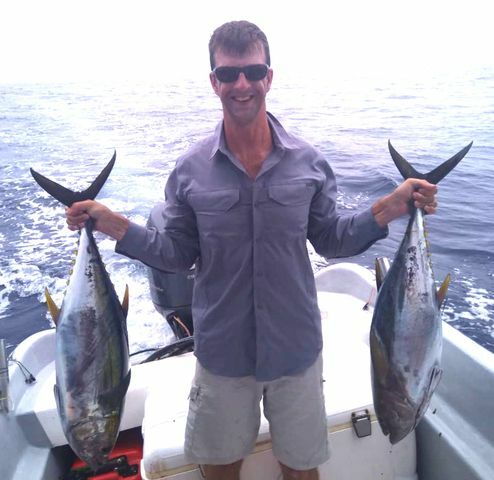 Jon Poploskie joined Captain Fico for a 5 hour half day on August 7 and beefed up the fridgerator with this nice Yellowfin Tunas. 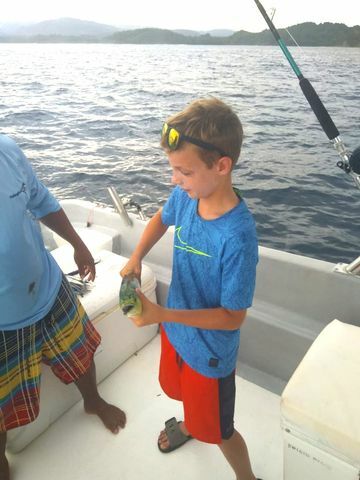 Also his youngster scored a little sandwich-sized Dorado for good measure. 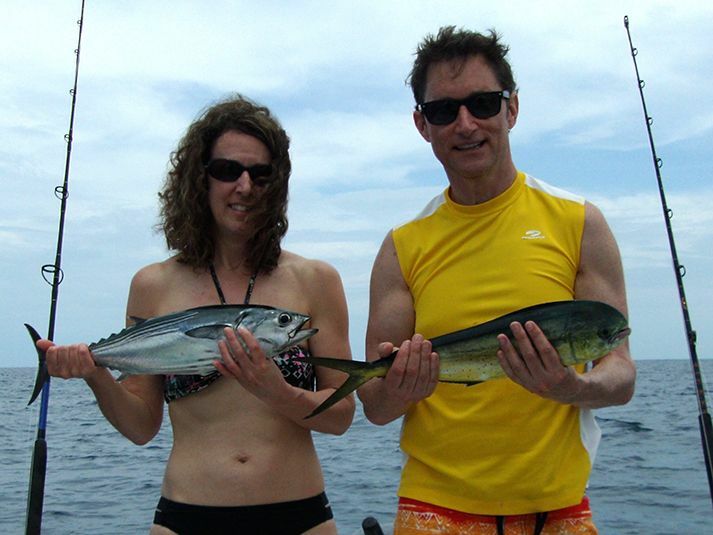 Excellent work by the Explorer! 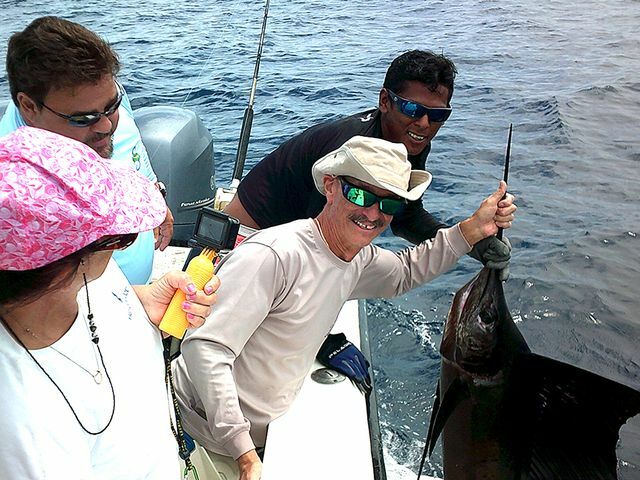 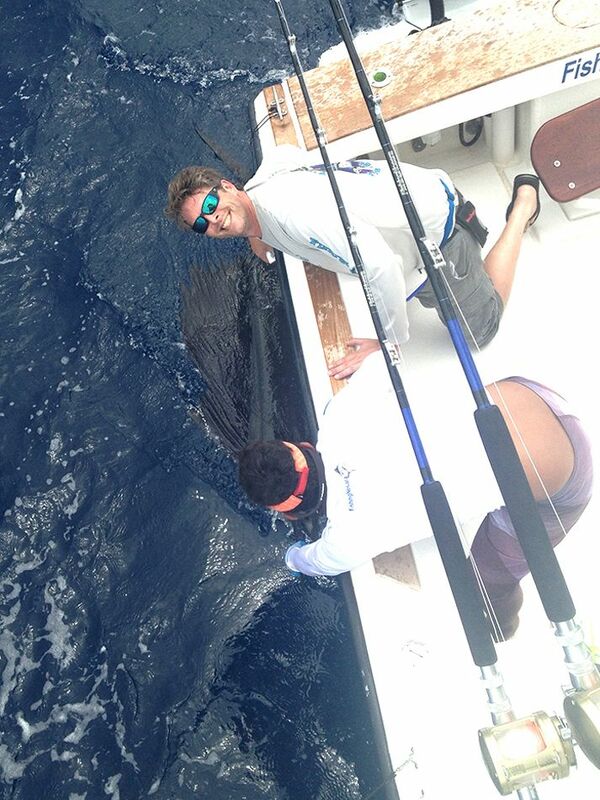 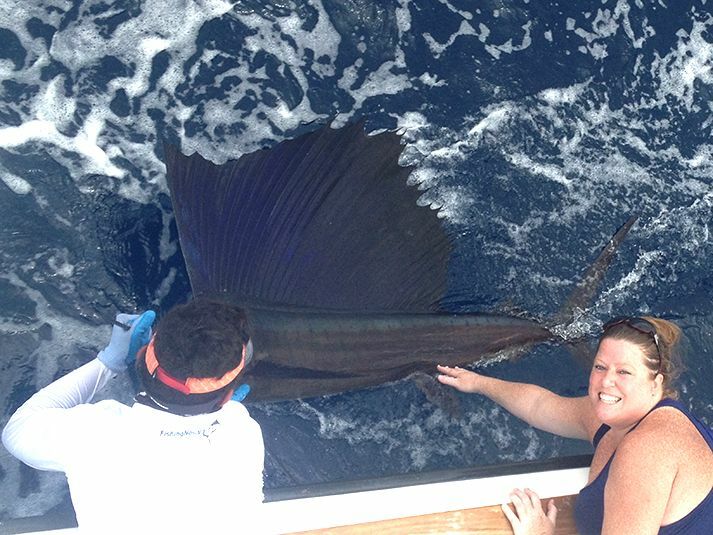 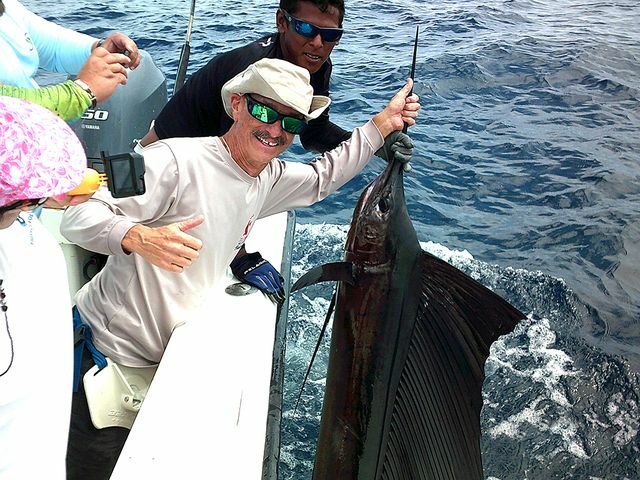 On July 10 Captain William headed offshore to Sailfish City and nabbed four lovely releases. 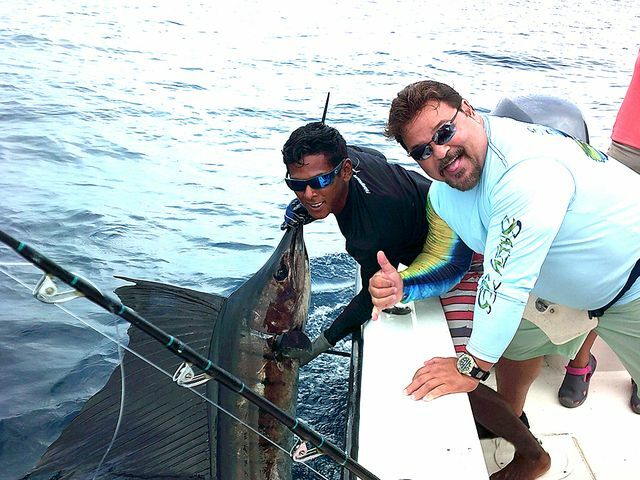 It’s great to see that the Sailfish have returned in numbers and that they are hungry! 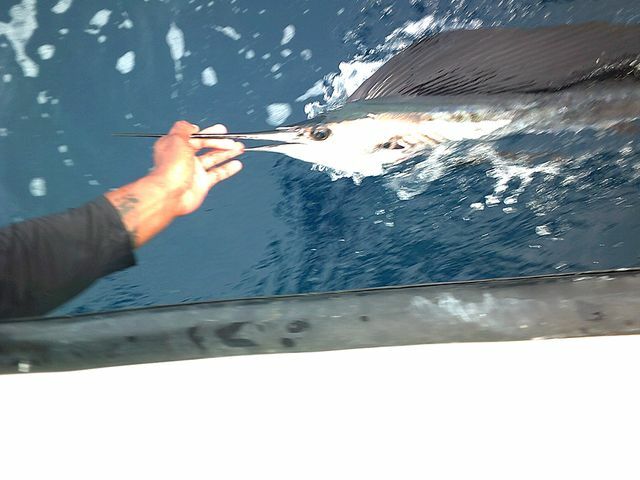 They finished off the day with this juvenile Sailfish release. 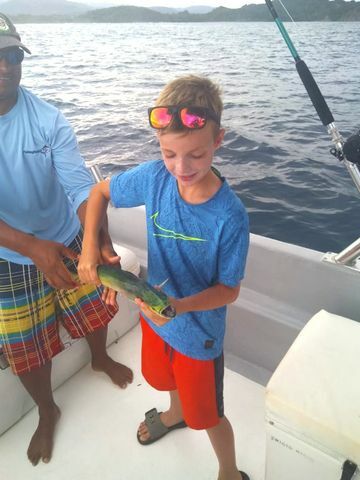 We’ll see this little fella again in about a year when he is all grown up. 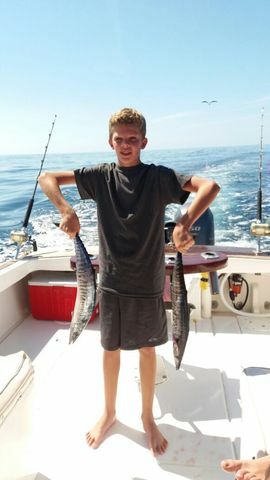 John Bottko enlisted the Discoverer for a full day on Christmas and brought the kids along for the trip to the meat market. 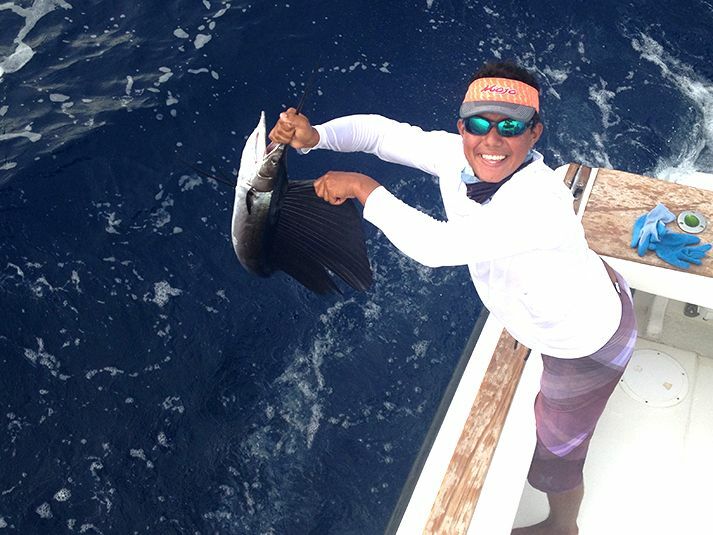 Great work by Captain Carlos! 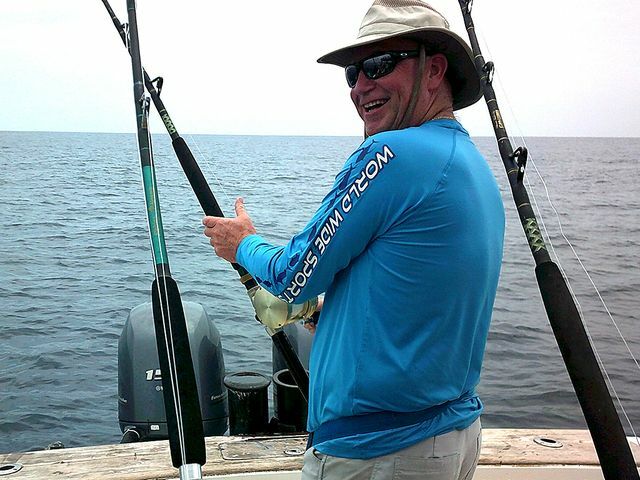 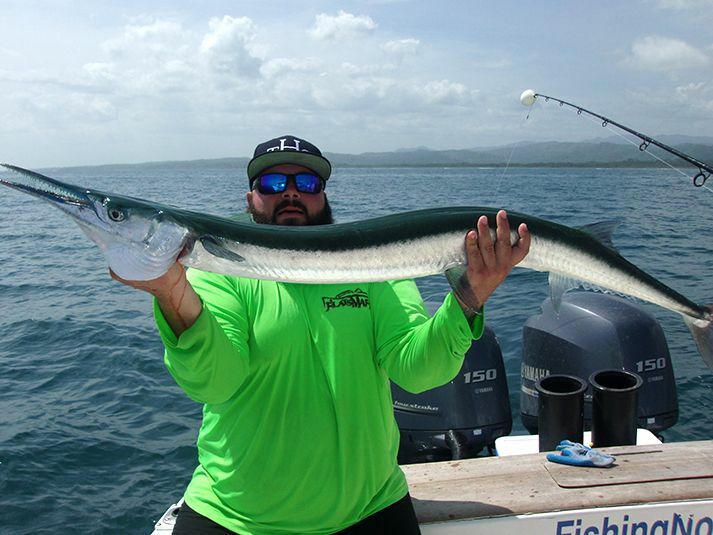 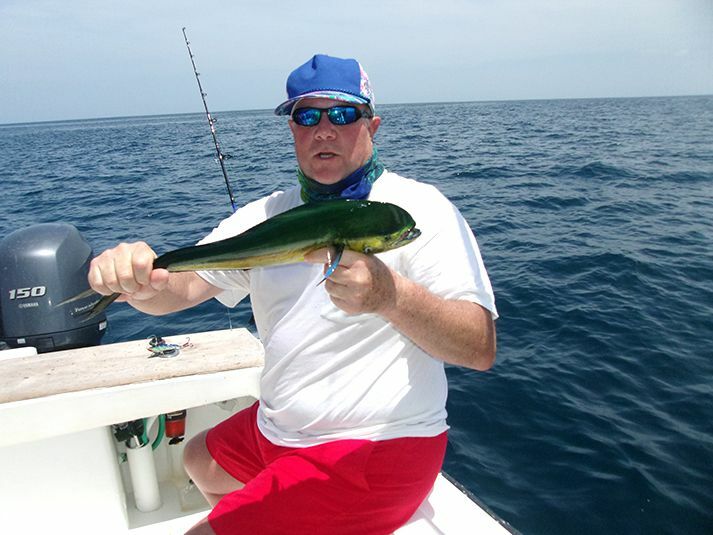 Captain Fico never lets clients leave empty-handed…the action was slow on May 14 but the Adventurer still scored some small Dorados. 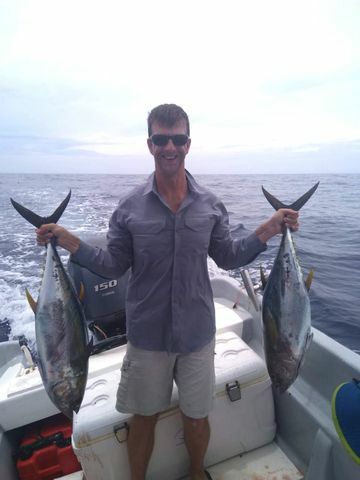 They may not look like much in these pictures, but trust me they look fine once grilled and drizzled with butter, garlic, and lime! 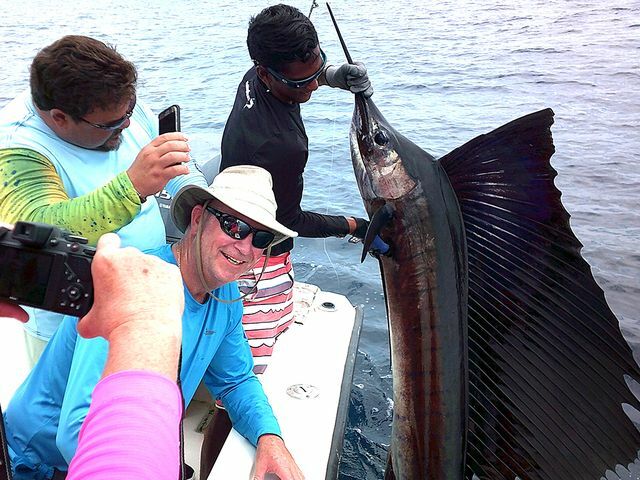 We released this beauty as usual, but this group didn’t leave empty-handed. 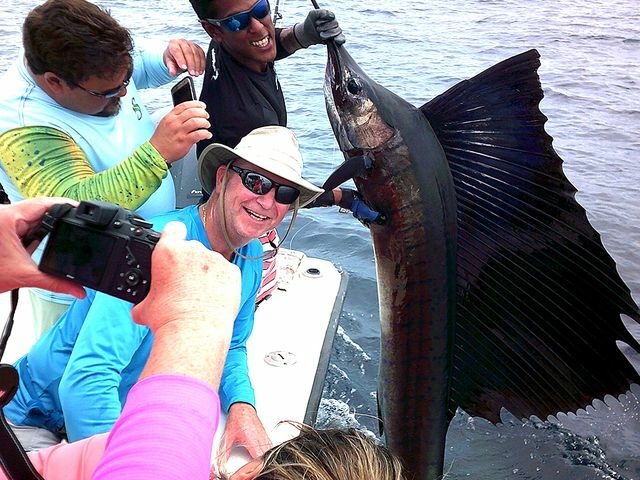 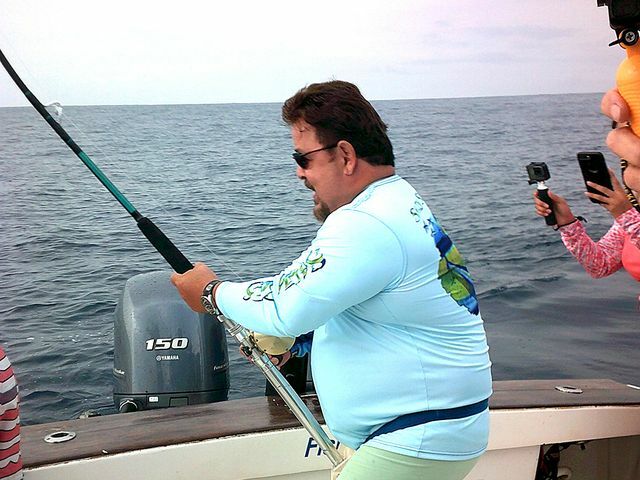 They got this monster Pinfish, and also released a small Dorado…c’mon back when you’re 50lbs. 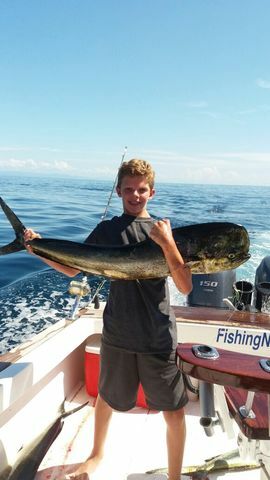 buddy! 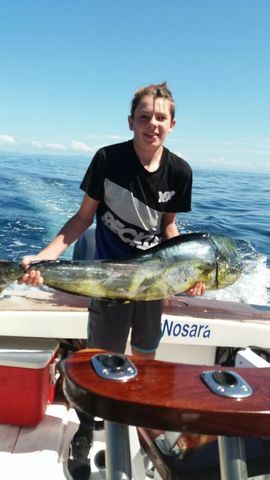 The Discoverer took over two years to rebuild and refit, but it only took Matty twenty minutes to nab his first billfish on the new battleship. 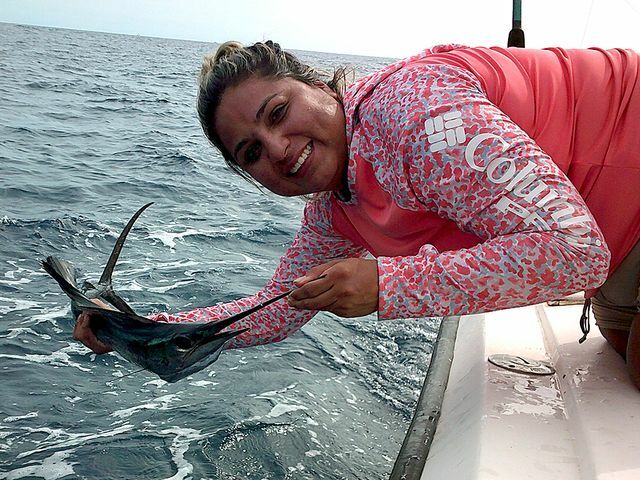 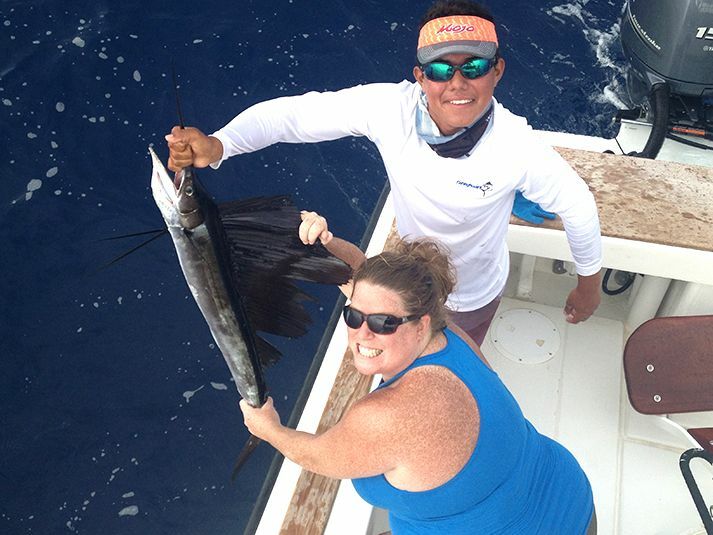 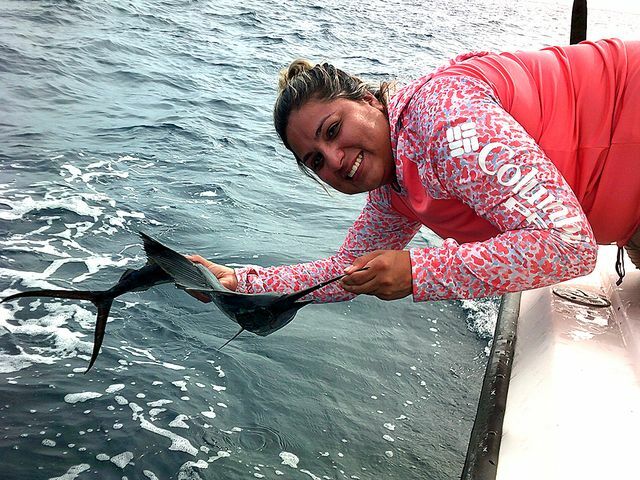 Bridget also got in on the action with the smallest Sailfish release on record…think about the skills exhibited by Captain David on the pitch bait to force-feed a rigged ballyhoo down this tiny gullet. 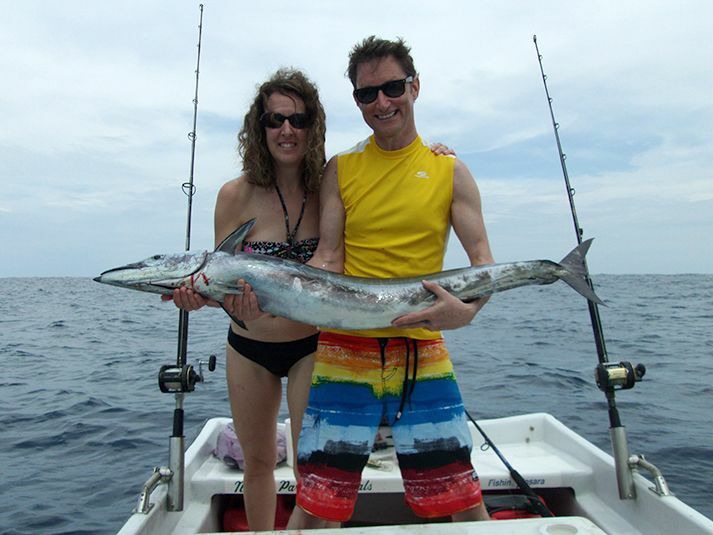 All smiles on the big battleship Discoverer for Matt and Bridget! 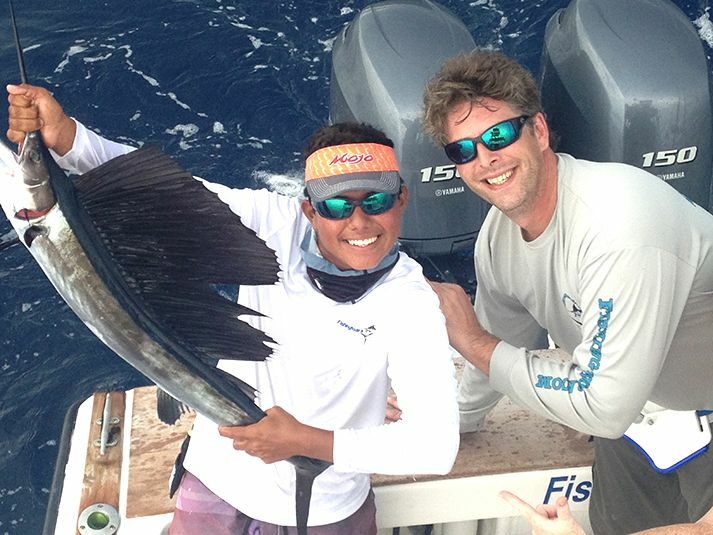 The Adventurer continues to amaze as Mate Fico has really applied himself to maintain the high standards set on the 23-foot pocket knife. 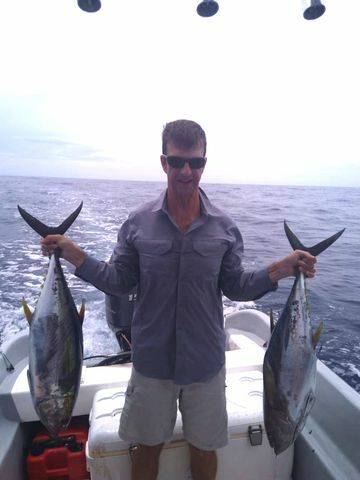 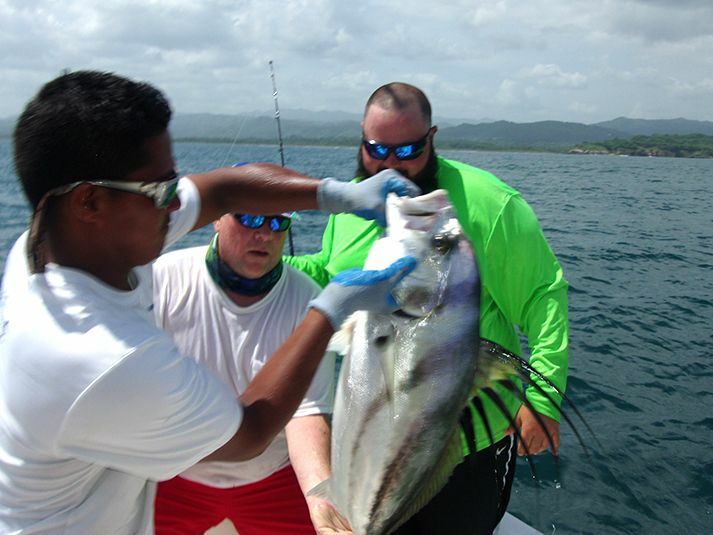 That was the highlight of a trip that also included small Tunas and Dorados…a nice way to round out the shopping cart. 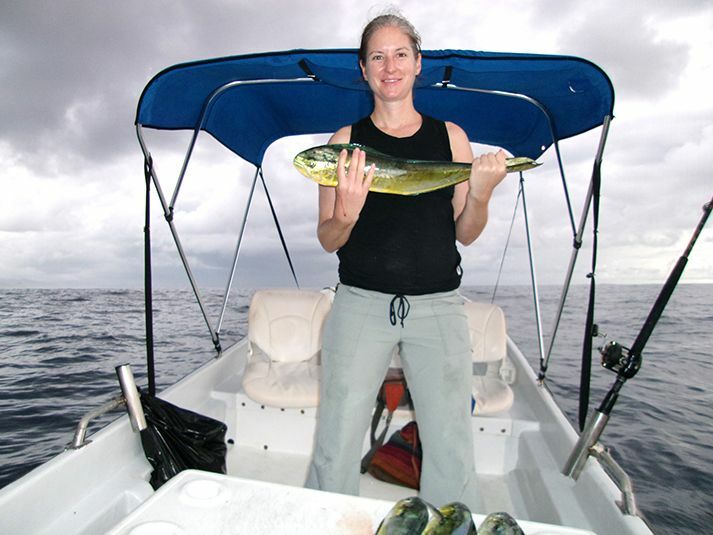 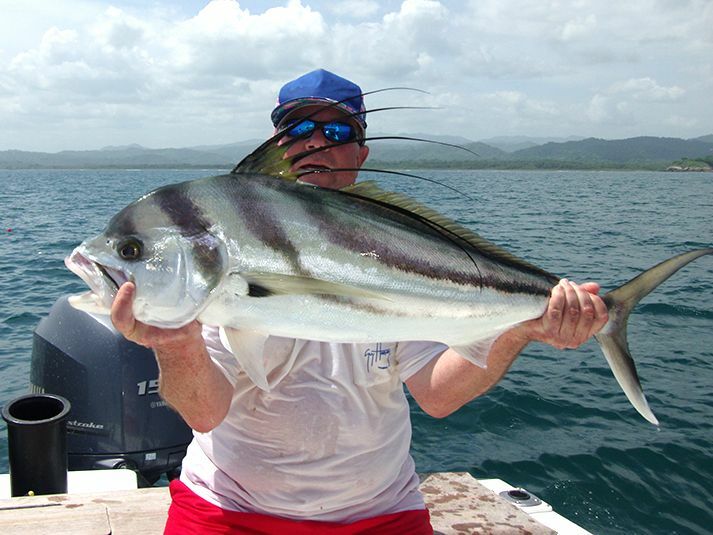 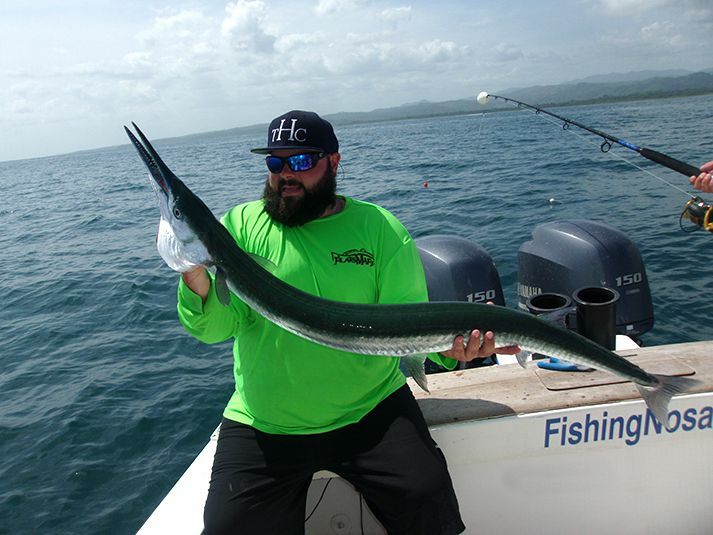 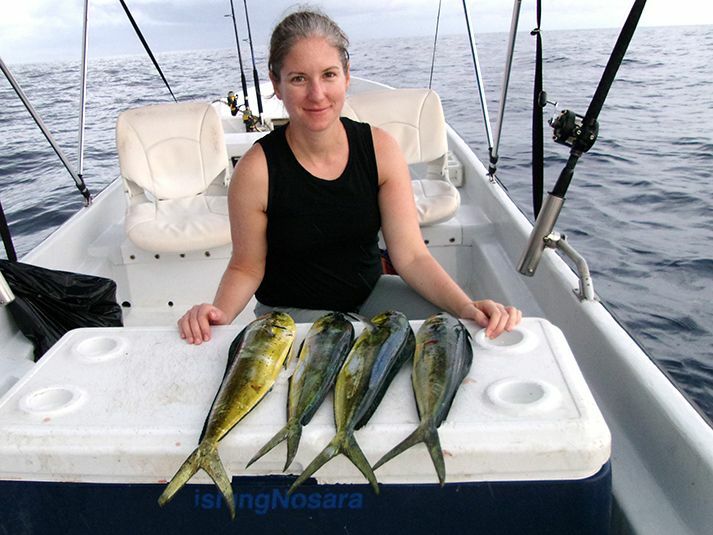 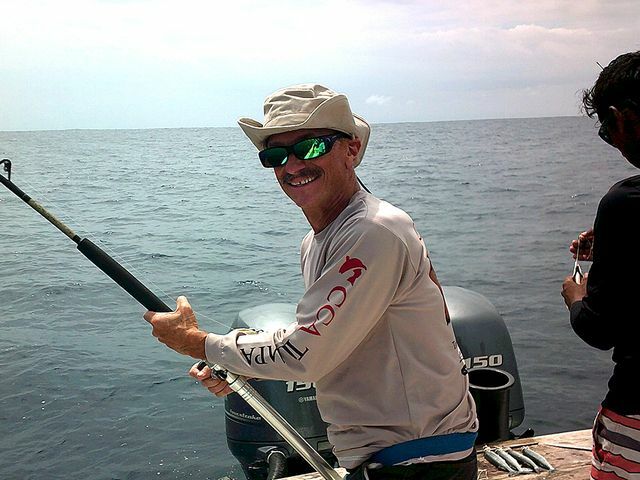 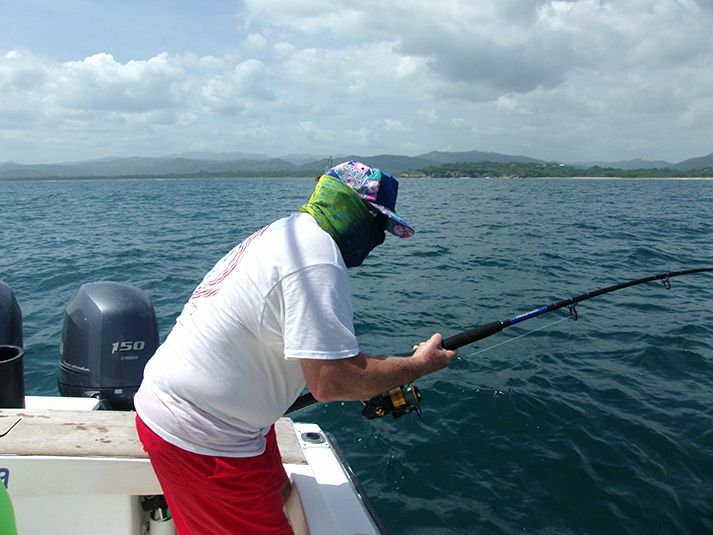 The Adventurer scored four small Dorados on a brief 2.5 hour trip on May 8. 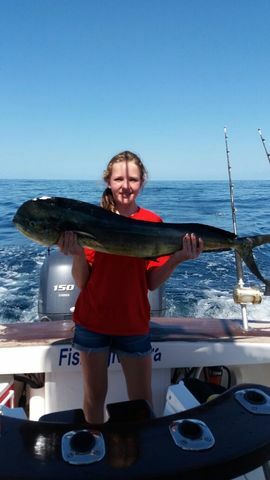 Clearly we’ve caught bigger Mahi before, but the pile of filets look the same from a 40lbs. 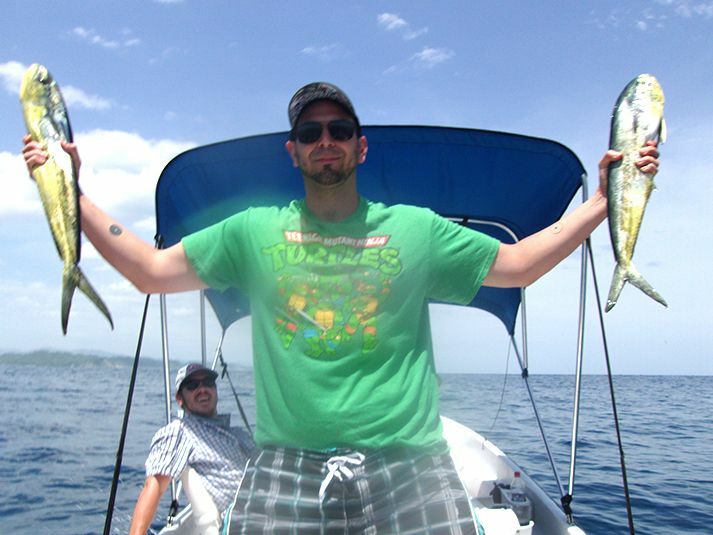 as from these four 10lbs. 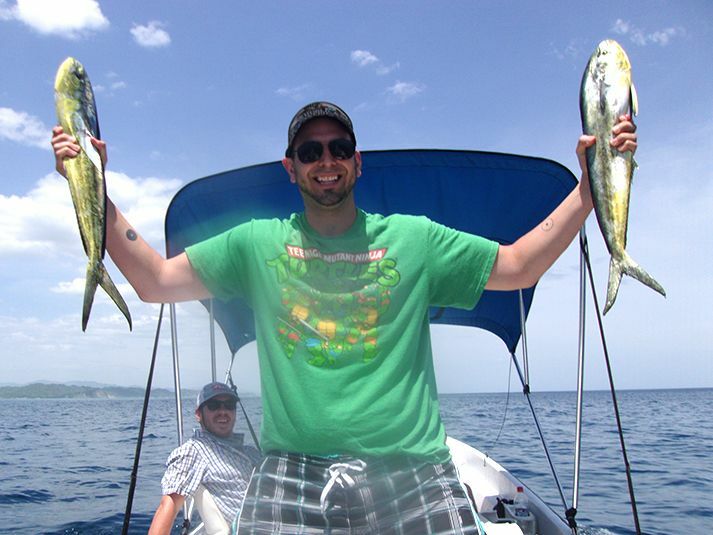 fish.